5 out of 5 rating See my close up demo & review video of this jelly below on the page. 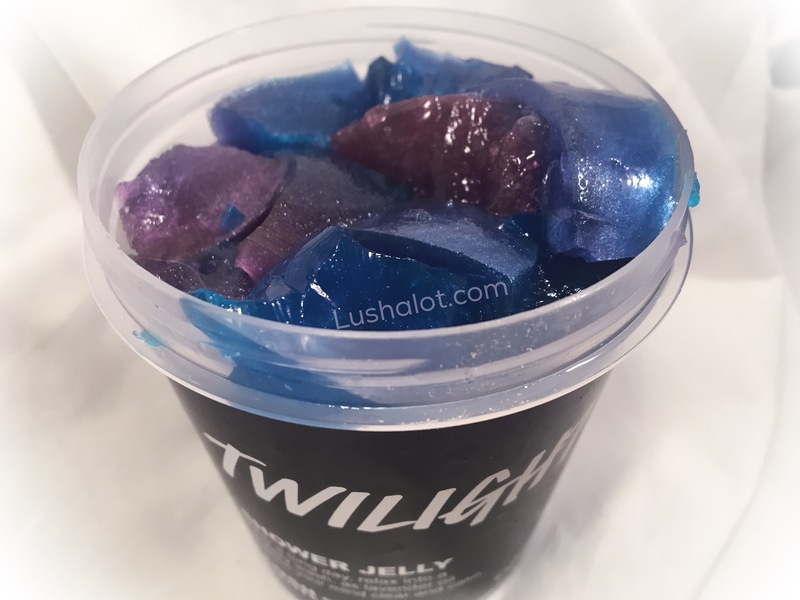 The Lush.co.uk site made these ”Twilight” jellies for one day only and I was lucky enough to buy a couple. 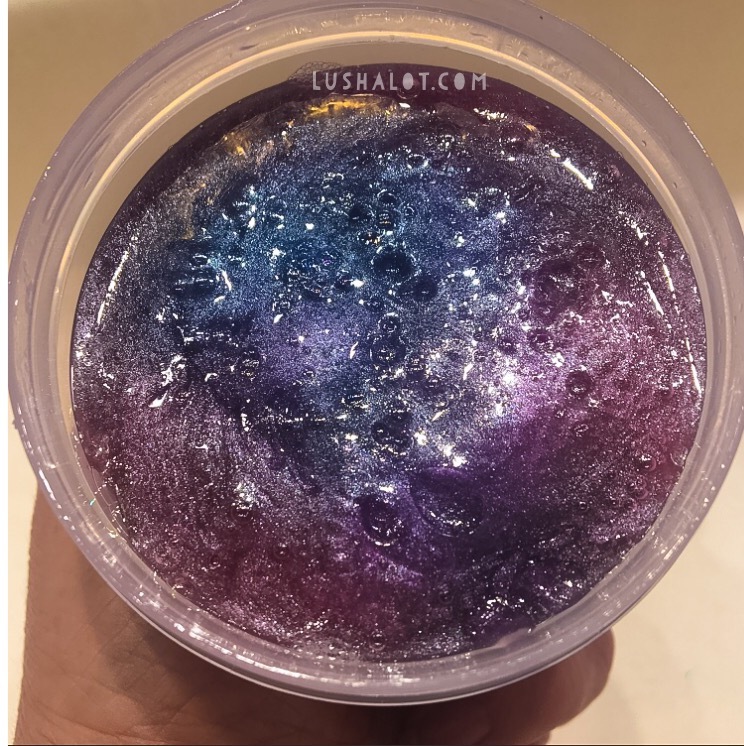 Lush made this jelly in their popular ‘Twilight’ bath bomb fragrance, which Has Lavender, and a creamy tonka bean note. I love that Lush made these jellies in pink and blue. They’ve never done this two-color thing with a jelly. I believe these colors were used because the Twilight Bath bomb emits pink and blue colors while dissolving in the bath. 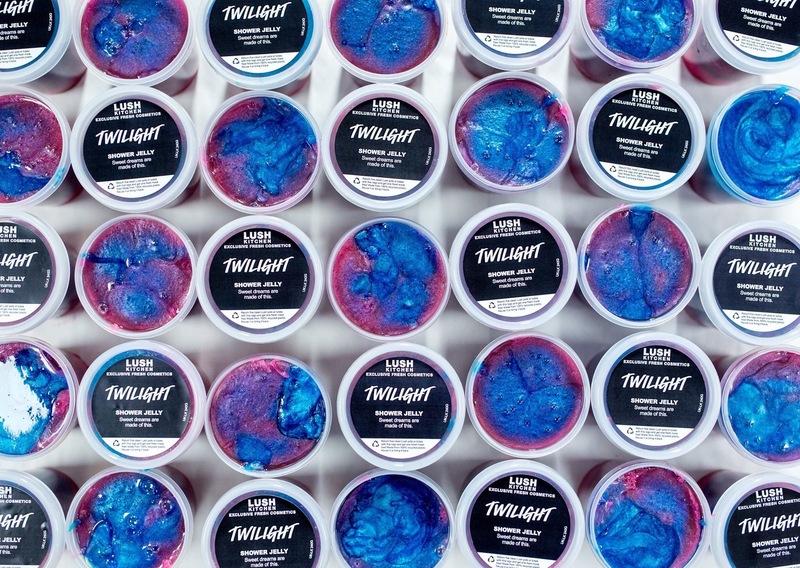 Lush also makes a “Twilight” shower gel and a perfume that i have in the ‘Twilight’ scent and has made a liquid spray perfume in this scent as well. An all natural scent of fresh lavender, creamy, vanillary tonka bean, and ylang ylang, coming from fresh ingredients. I got my order on Sept 6. To me the Twilight scent is even better in the jelly form. 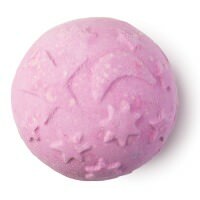 It’s sweeter, creamier, and a bit more ylang ylang floral than in thr twilight bath bomb or shower gel. And another plus is that this lovely scent actually stays on the skin a longer than average amount of time. This is great. Here’s a 6 minute video with music of it close up to see the shimmer. I wash my hands with it and chop it up, etc. Posted on January 7, 2016 by Lushalot	• This entry was posted in Jellies, Lush Kitchen menus and product demos, New and tagged 2016, demo, lavender, lush exclusive, lush exclusives, lush jellies, lush kitchen, lush limited edition, lush twilight jelly review, lush uk, New, tonka bean, twilight jelly demo, twilight scent family. Bookmark the permalink.